The first stage is to catch a bus to Balagel which is around 15 kms from Kalasa. The first local bus is at 6.30 am. As you get landed at Ballagel, continue towards Raje gowda's home at Base camp, but now the route is through rough terrain and the means was a 4x4 Mahindra Jeep. Finish your morning chores and have your breakfast for the day at the place. After that you can start the trek at around 9 am. 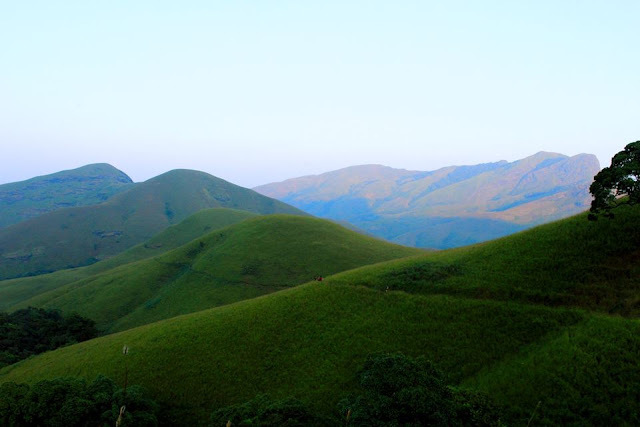 Since this is a protected forest, one needs to take prior permission from the forest office at Kudremukh town but unfortunately one doesn't get permission to camp overnight. 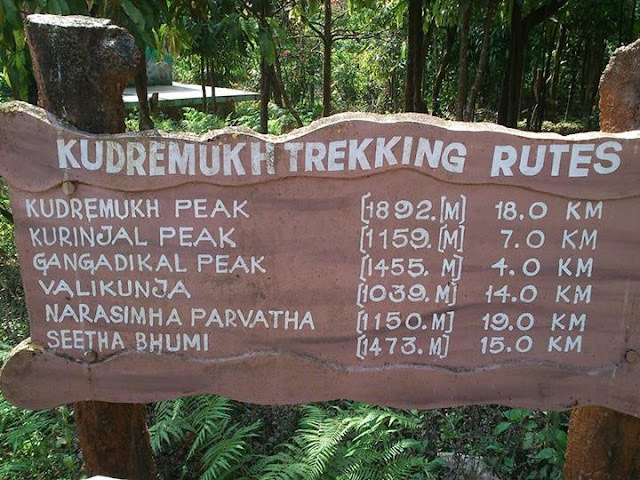 One has to trek the entire 20km or odd km in a single day, even then this trek can be termed as an easy one. Initial part of the trek was alternating between grasslands and shaded forests. Within the shaded forests you will came across quite a few water bodies , so I guess water wouldn't be a problem even in the summer seasons. The name of the peak was kept so, since it supposedly resembles a Horse's face. Technically speaking this route doesnt require a guide with the route pretty much straight forward, but a guides presence ensures that you can access some hidden watering holes which are plentiful enroute. 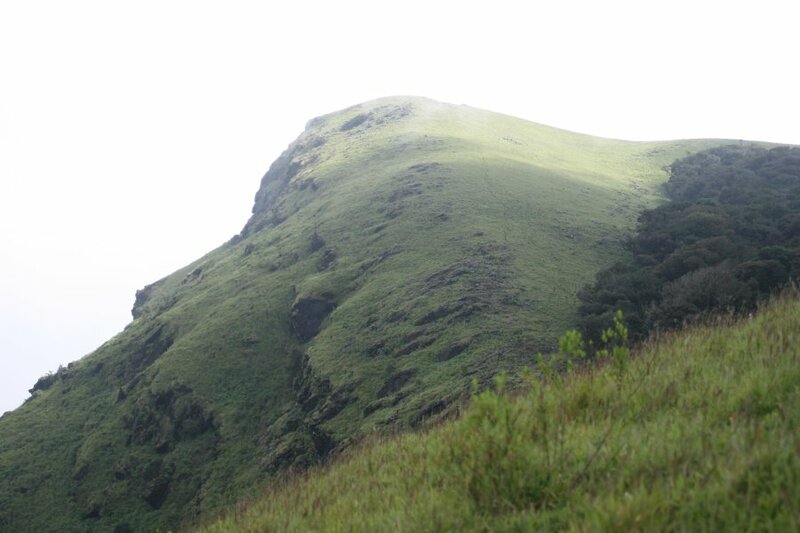 After trekking continuously for about 4hrs we hit the peak, you will finally conquer the second tallest peak in Karnataka at 1892 m.
Of the 10 km you trekked from Mullodi village only the final 3 km can be termed as a climb with the rest of the distance being just a walk along a flat gradient. The view from the top will be pretty mesmerizing. On one side you had endless grasslands and on the other we had endless mist/cloud filled regions which we couldnt make out whether it was land or (quite preposterous as it might sound) 'the Arabian Sea' :). 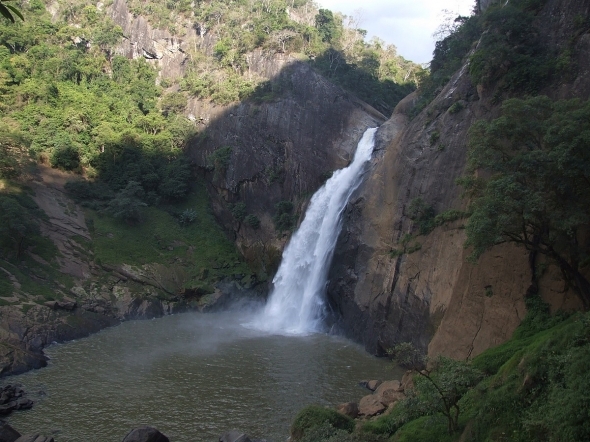 And also you can to Hanumagundi Falls by taking direct local bus from Balegal. 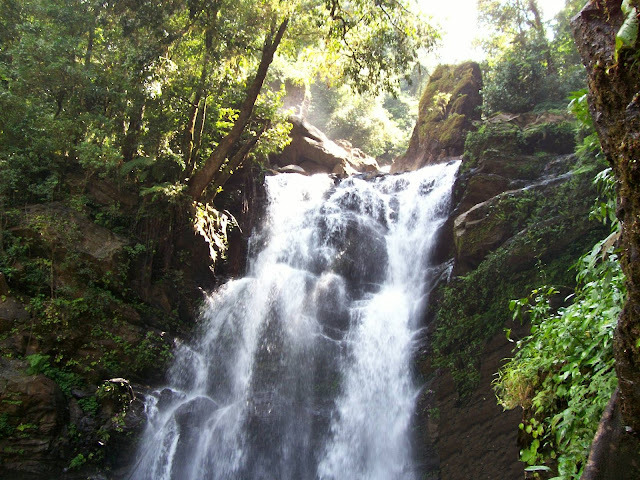 After descending a lot of steps you will reach the falls, which eventhough had lesser quantity of water looks gorgeous.